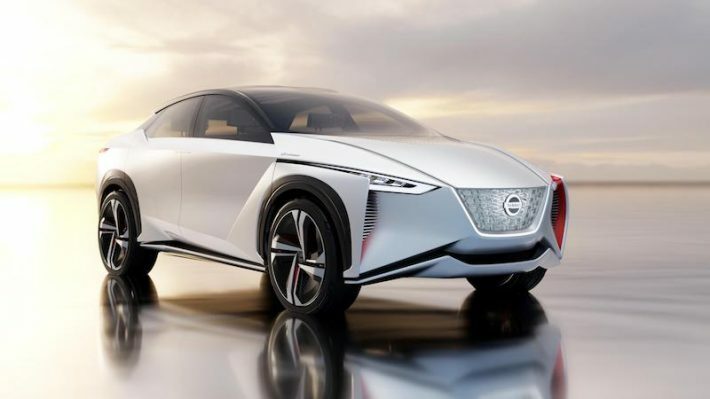 Nissan IMx, an all-electric crossover concept vehicle, was unveiled at the Tokyo Motor Show in Yokohama, Japan on 25 October 2017. It offers fully autonomous operation and a driving range of more than 600 kilometres (373miles). 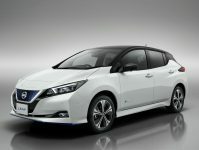 This new innovation provides a glimpse into the future of Nissan Intelligent Mobility. 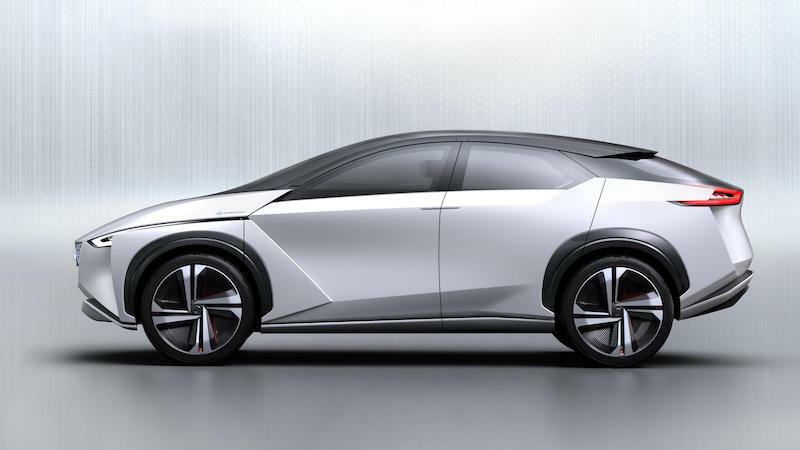 It is the Japanese manufacturer’s vision for changing how cars are powered, driven and integrated with society. 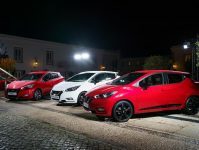 They intend to strengthen the link between car and driver and deliver a safer, more convenient and more enjoyable drive. At the core of the Nissan IMx’s technological features is a future version of ProPILOT that offers fully autonomous operation. When ProPILOT drive mode is selected, the system stows the steering wheel inside the dashboard and reclines all seats, giving the driver more space and allowing the vehicle’s occupants to relax and enjoy their commute. 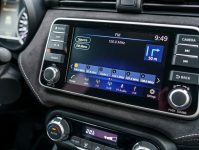 When Manual drive mode is selected, the vehicle returns the steering wheel and seats to their original position, seamlessly transferring control back to the driver. 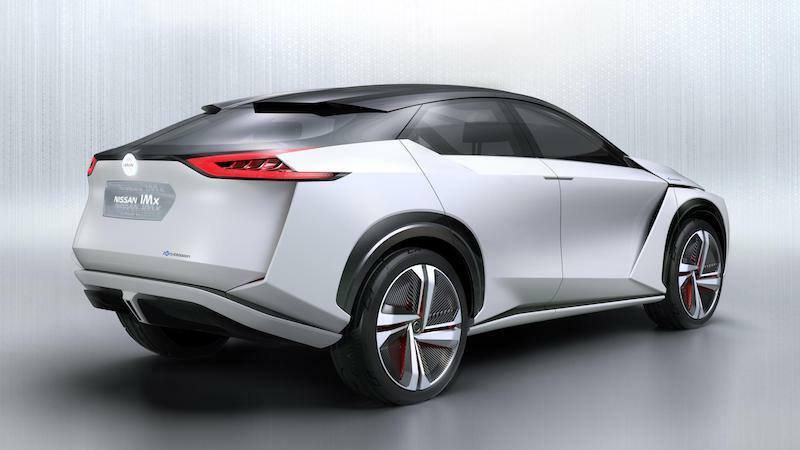 The Nissan IMx zero-emission concept vehicle adopts Nissan’s new EV platform, designed for maximum efficiency. It allows the floor to be completely flat, resulting in a cavernous cabin and enhanced driving dynamics. With a low centre of gravity, the chassis delivers sharp handling that promises to redefine the crossover segment. The powerful yet quiet powertrain delivers enhanced driving pleasure. The IMx is propelled by a pair of high-output electric motors at the front and rear, giving it all-wheel-drive capability. They combine to produce 320 kW of power and an astounding 700 Nm of torque, sourced from a high-capacity battery which has been redesigned and re-engineered for increased energy density. This new battery supports a driving range of more than 600 kilometres on a single charge, so users can enjoy their drive without worrying about recharging. The Nissan IMx can also contribute to society like no other vehicle before it. For example, after transporting its owner to the airport, the IMx can park itself in a spot where the vehicle can connect to the local power grid and act as a “virtual” power plant by returning electricity to the grid. This is an extension of its vehicle-to-home and vehicle-to-building features. Once the owner returns, the IMx can pick them up at the terminal and drive home. The whole process is carried out efficiently, thanks in part to the increased battery capacity and connected-car technologies, including Seamless Autonomous Mobility. Until now, vehicles have been designed with a clear differentiation between exterior and interior. Exterior design provides a sense of security from the outside, while the interior design allows drivers to concentrate on driving. This is likely to change with the arrival of fully autonomous vehicles. Nissan’s designers sought to redefine the interior space of the IMx to create a sense of openness, while maintaining a feeling of privacy. To achieve this, they tried to design a space that links up the inside and outside of the vehicle.